P O Box 173, Barnawartha, Victoria, 3688, Australia. Click here to register and earn Paymate rewards. What's my order up to? 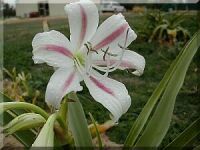 Our garden is one where we wait until the bulbs have started to die down before we send them out to you. You can order as many months in advance as you like, your order will be placed in a que and sent out when the bulbs are ready. Feel free to check on where your order is up to by phone or email. Ordering Bulbs from America or any other country? Please ensure you have checked with the NEW USDA REQUIREMENTS for obtaining Seeds and Bulbs to your country. 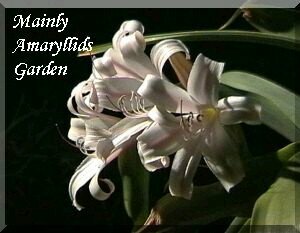 Due to these new laws, we are now sending seeds/bulbs to the USA accompanied by a Phytosanitary Certificate only. Please see our Order Form for cost details. Document detailing allowed bulbs to the USA. ALL OVERSEAS ORDERS ARE IN AU $$ ONLY. 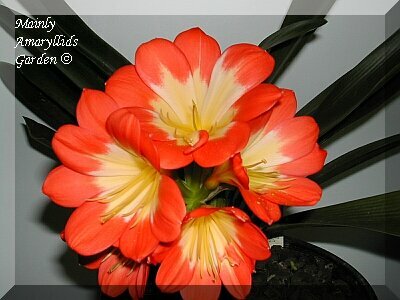 Clivia miniata 'Multipetal', Seed from Mr. Nakamura, Japan. Copyright 2003. All rights reserved. This site was designed by CWH.